This is Kelly Hubatka. We met over a year ago at our church. 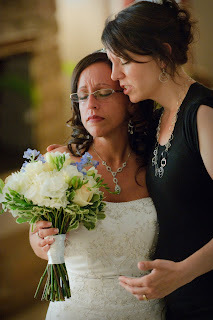 Her husband married Robert and I. I cared for her youngest child in the children's ministry for a whole delicious year. She is my friend. However, we have only spent a small amount of time together. She has a busy life, and so do I. We don't drink coffee in our pj's, our kids don't have play dates, and we don't sit on the phone for hours. But yet, she has been such an amazing addition to my life, and I am proud to call her my spiritual friend. God placed Kelly in my life to encourage me through my spiritual journey. I like to call her my spiritual advisor. No matter how much time has passed, when I reach out to her, she is always there for me. I guess she wasn't meant to be an everyday friend, but to me, she serves a great purpose in my life. She is my friend in the way that she was meant to be. She doesn't know this, but I print and save the emails she sends me, and I refer back to them when I am in need. Here is a piece of an email she sent me that I keep close to me at all times, and I have gone back to it so many times. It's from October. 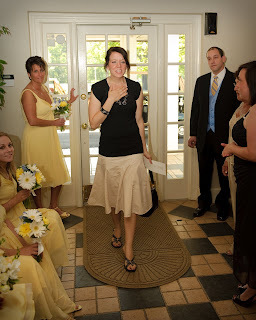 The day of my wedding, right before I walked down the isle. I got so flustered. That's the best word I can think of. I asked my sister to go get Kelly. Once again, I needed her, and there she was. As you can see by the picture, not only was she there, she was flattered, and she was honored. I asked her to pray over me, and she did just that. No time to rehearse, she saw it as a privilege, not a burden. Although we do not spend lots of time together, she knew exactly what I needed her to pray for, and said it so perfectly. She knows my heart. That may sound strange, but it's true, and I am blessed to have her in my life. A calm came over me that is unexplainable. Kelly if you read this, thank you for being my Spiritual Friend. I've tried to comment several times, but erased them because I don't even know what to say! I am humbled by this post, and am so honored that I can be someone in your life who prays for you and speaks truth to you. I'm so thankful that God could use me to encourage you, it is a privilege! You are one amazing woman and I'm proud to call you my friend! Thank you so much for the (beyond) kind words! What a great post Colleen. Hang on to Kelly. Spirital Mentors are amzing and will point you to Christ over and over again. This is an awesome post!!! I still have a card for Kelly & Larry that I wanted to give them at the wedding. I carry it with me to church each week in the hopes of running into them. Basically I want them both to know how important they are in Colleen's life and how me and my entire family SO, SO appreciate them. Again you would really need to know my sisters story and how hard she was on herself in the past to understand why I hold such a special place in my heart for Kelly & Larry and their continual support of Colleen and her spiritual journey. They absolutely have gotten through to her when we couldn't - and that is why I hold them in my heart the way I do. 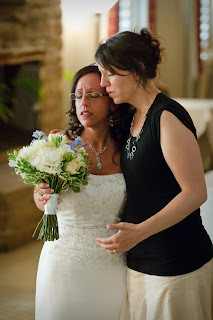 Kelly - we could not have picked a better spiritual friend for Colleen!! !